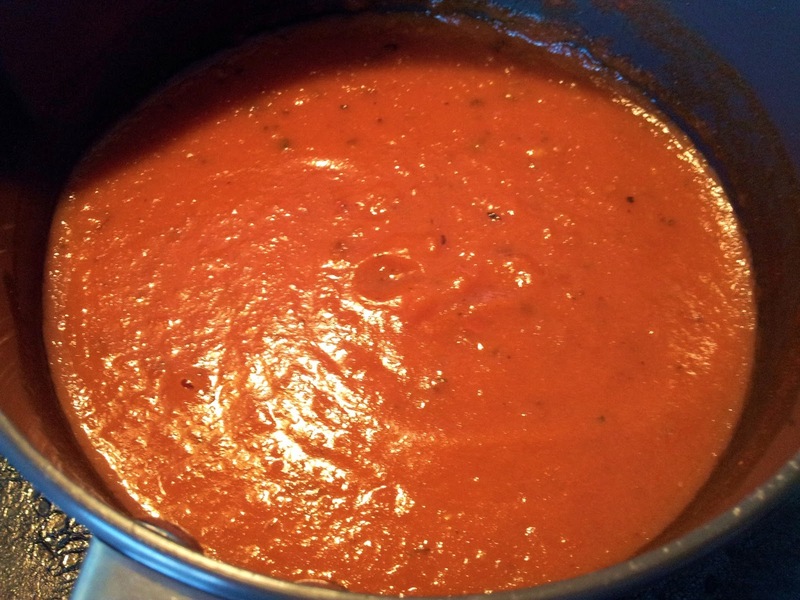 - Grind crushed tomatoes, onion, garlic in a mixture to make a smooth saucy texture. - Heat olive oil in a pan over medium heat. - Add self-rising flour in it and cook for a min. It will make a thick paste. 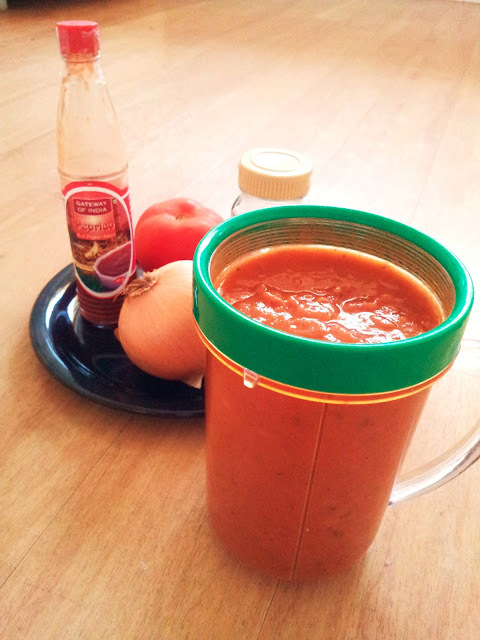 - Add the tomato-onion-garlic mixture along with all spices and mix well. - Turn heat to low and cook it for 4-5 minutes until water evaporates. Click on the link to find recipe for Beans Enchiladas to go along with this sauce...!!! This is a delicious and versatile sauce!